Thurs., July 21, 2016, 11:00 pm – 3:00 am. Revel in L.A.’s most notorious playground to the stars. 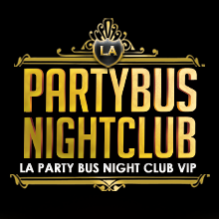 Party at Playhouse Hollywood on July 21st 2016 with DJ VMoney + Special Guest, 11:00 pm to 3:00 am. Playhouse Hollywood is always a good time, and things get crazy. Dress fashionably and arrive early to ease entry into this late night party haven. Experience Vegas-style nightlife in Los Angeles at Playhouse, located at 6506 Hollywood Blvd in Hollywood. They say Playhouse Hollywood is a Vegas-style club. It doesn’t look like much outside (you will know it by the old theater-esque entrance), but one step inside will certainly get you partying late into the night Vegas-style. Playhouse stands out for its entertainment. Intelligent disco lights and dozens of glowing red orb chandeliers throw dots of color over the fashionable crowd. Caged go-go dancers flank both sides of the sunken dance floor. This is where the DJ pumps up dance fiends and singles on the prowl elbow their way into the jam-packed space to party with Valley kids and tight-dress set. One night you might have ribbon dancers, another you may have go-go girls that give Olympic gymnasts a run for their money. This well-kept, lush little secret is the where to get down, let loose, and enjoy some high-class entertainment rarely found at majority of current LA top clubs. High rollers can make their way to the elegant VIP lounge upstairs, which features numerous gold and black banquettes, a second bar and DJ. The upstairs offers patrons a slightly mellower vibe. Between the two different levels of this club, which both have their own separate sound system, you can usually find a good blend of house and hip hop. Overall, the venue can be best described as a three-ring bedlam that die-hard club fans won’t want to miss. Playhouse is a whirlwind combination of high design, circus visuals, and great performances.